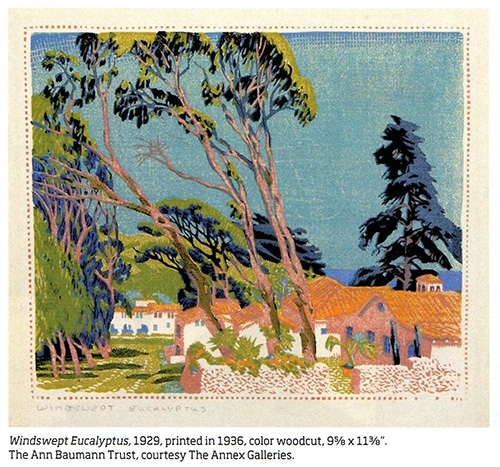 An exploration of Gustave Baumann’s prints and preparatory works now open at the Pasadena Museum of California Art. Gustave Baumann (1881-1971) was born in Germany and moved to Chicago with his family in 1891. He later apprenticed to a commercial printmaker, opened his own print shop and took classes at the Art Institute of Chicago. In 1910, he and his wife discovered Brown County, Indiana, on a search for subjects for his prints. They lived there for nearly seven years. 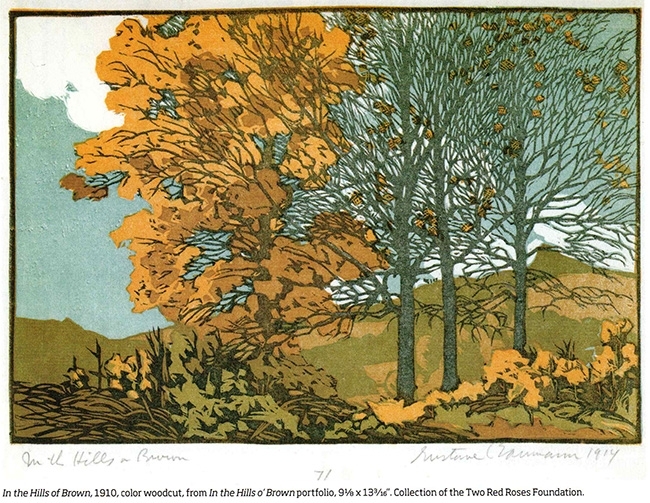 In 1915 he won the gold medal for a color woodcut exhibited at the Panama-Pacific International Exposition in San Francisco, California. After a visit to New Mexico, the couple moved to Santa Fe where they lived for the rest of their lives. 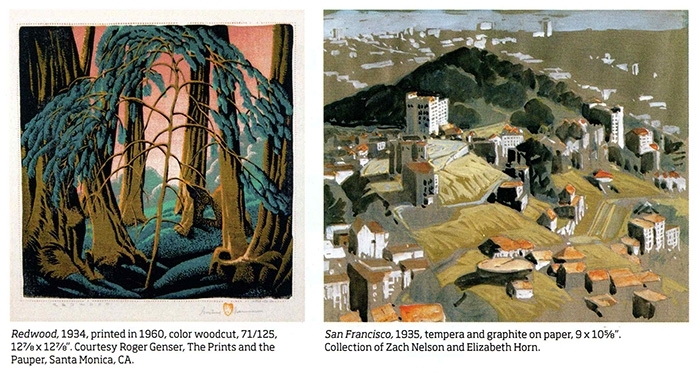 Between 1925 and 1938, Baumann took seven trips to the coast of California, gathering information for the third distinct portion of his oeuvre. Even in his graphite, tempera and gouache studies, Baumann’s unique approach to interpreting the landscape is evident. Their being displayed along with the finished prints offers a rare insight into his artistic process. San Francisco is a tempera an graphite study from 1935. Windswept Eucalyptus, 1929, is an example of the lively color that would dominate his work after he moved to New Mexico and visited the Pacific Coast.